The anticipated positive photonic-encoded plasma waves have arrived. These are Divine light influxes and outpourings which support a new level of Christ consciousness. This is cosmic-level support for our Embodiment, as well as a New Earth Grid amplifier. Because this is Crystalline DNA related, it is a collective activation for both the Ascension-bound and Gaia herself. Embodiers are having bliss/ecstatic experiences as these influxes intensify. This is a soft, peaceful and joyful sensation of merging with Source. The New Earth crystalline grids flow with the amplification of inner earth/ancient structures. Get out with your gate crystals; your blissy crystalline DNA is just the tonic Gaia needs for Equinox. A Divine synchronization of Gateways is upon us. The second wave is already in progress. Let us remember this prepares us for a profound self-realization activation at the end of April (during our event weekend … joyful to be in good company!) Yes, we feel the Divinity unfolding already … our Higher levels are taking over the reigns. It just gets better and better. Equinox is on Wednesday, March 20 at 2:58pm PDT. Equinox is a key moment because of its balancing qualities. We also have a rare Full Moon on Equinox (6:43pm PT) which will make it a very powerful moment for balance and rewriting realities. Use this passage well. As a new solar cycle begins at Equinox, the fresh revelation and renewal energies amplify. This Embodiment passage calls forth a brand new way of being in the body. A higher level of spirit, completely integrated, unique and creative expression of Source. We stabilize the newly migrated organic timelines and ascended realities with Equinox (call this forth, beloveds). Equilibrium as the cosmic heart emerges through us, Gaia, our SUN and the Stargates. A Divine synchronization; as above, so below. As within, so without. Many have been witnessing Solar flashing activity – within and without- since mid-2015. As with most Ascension experiences, we get the preview of coming events, then they unfold. All new experiences need to be integrated, then dispersed to the collective, as an act of mercy. It softens psychological, emotional, physical and spiritual distortions to have these new experiences ease their way into the morphogenetic field. Notice how that integration rate has increased through the years; another accelerating side-effect of unity consciousness. Your first Ascension-column Solar flash encounter is an unmistakable experience. Either you will see the SUN flashing with open-eye vision, or experience the flashing activity when in meditation. This is not the eyes-closed flashing from brain rewiring which affects the optic nerve; that would be subtle compared to the Solar flashing experience. It is not the flashing activity associated with the Galactics, Angelics or Masters in your space or while making adjustments to the body. It is not the flashing of pineal activation, fluttering eyes in the SUN meditation, or flashes which occur as you relax into sleep. This is specifically Solar activity, related to the activation of the Solar heart component of the Ascension process. Solaris (the SUN) is becoming more crystalline, Gaia is becoming a Spiritual SUN, and HUmanity is evolving into an Ascended state which is Diamond-Solar in nature, to compliment the rewrite of these realities into the crystalline/Christed platform. The Solar Cosmic Christ path of Ascension is to be in perfect attunement with organic cosmic law, and that includes the feeling of becoming One with all that is. Our hearts become a Divine reflection of this Christed model. Through the Ascension process, we refine our hearts to do what Solaris and Gaia are doing; become purified conduits of Source consciousness. One way to experience this is in meditation in darkness (blackout drapes or eye masks enhance the view), a brilliant flashing activity is witnessed. Extremely bright and flickering white-gold-diamond light, paired with the sensation of Divine activation. The experience brings great sensations of bliss, freedom, joy and revelation. The effervescent sensations during the flashing are particularly beautiful, radiating out from the heart … just like Solaris. This is YOU reactivating the God-Self, Source-as-Self. You are receiving the codes of the Christed state, bit by bit, due to a pure open heart. You reached the necessary level of Light quotient to receive, and that vibrational match allows for you to mirror the Cosmic activity already in progress. Remember this is a merge of Higher and lower self, and our higher levels are quite bright and vibrate much faster. Most of our Higher Levels are deeply involved in this Universal rewrite, and we synchronize with and witness that activity as we ascend. Another way to experience this is while meditating with the SUN, eyes closed or gazing just below SUN level (staring at the SUN during the day is not recommended.) Many of us have seen the unmistakable flashing with clear skies and no other explanation; the sudden flickering activity that blazes through your Ascension column and touches your heart. Remember it is how it feels that provides the distinction. Gatekeepers collectively saw the SUN exploding in vision a few years ago. This ongoing activity is a synchronous complimentary exchange of information between the SUN, the cosmic stargate systems, Gaia’s amplifying crystalline core, the New Earth crystalline Grids and our beloved Ascending HUmans in service. All of this is now collectively accelerated by embodiment phase, which acts like a passcode for quickening. Embodiment changes everything. The Gatekeeper-Gridworker-Lightworker collective will eventually activate the global consciousness-shifting Solar Flash when cohesive, consistent unity is attained. Perhaps this is why so many experience the flashing, beaming and bliss states during our SUNday Unity Meditations. That cohesive state of peaceful intention – and DNA activation – is opening our internal and external Gateways. Patience is Mastery, we will have a consensus soon enough. Practice Embodiment and Mastering your own heart’s expansion, and it will greatly affect the acceleration across all realms and expressions of SUN. – Connect with Solaris, through your heart, often. Become a fellow star, a SUN of God. – Consciously open and align your torus fields and Ascension column. – Spin diamond-pure light through your fields, then add liquid golden-crystalline light. – Expand. Light up the Christed codes of your DNA. – Visualize the same for Gaia, and the SUN. – Feel the Divinity, intensify the Source zero-point which is at your heart center. – You may go infinite with these light levels. Bridge the worlds, you still affect these realms. – Command the highest influxes of consciousness-shifting, dimensional-shifting light from Solaris and the cosmic stargates of Ascension, the grandest outpouring of light from Gaia, and the full activation of Divine DNA for all willing hearts to create peace, harmony and Ascension. – Visualize, feel and command New Earth Now. 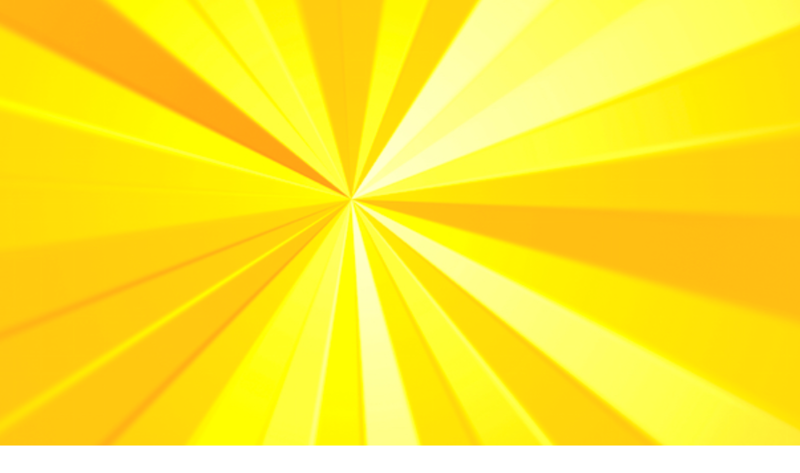 – Relax and feel the Oneness of the Solar-Source network connection across the realms. Breathe and meditate in this space. – Express gratitude and bless this sacred endeavor under all graces and forces of pure Source Consciousness. For the past few years, Gatekeepers/Gridworkers have been reactivating the ancient sites within Gaia (underground, unexposed structures). These ancient structures were placed in Gaia by us specifically for the Ascension, and guarded by our Galactic levels. A unified activation will occur with Equinox, and another end of April. These will merge with the New Earth crystalline grid system and create a great outpouring of light from Gaia. That light will activate DNA codes for final stages of Embodiment; a great gift from the living library herself. Self-realization codes provide sensations of Divinity and Source unlike anything before. And we are just getting started, Beloveds. Trinity DNA codes are being collectively activated, which brings brand new crystalline sensations in the body and Lightbody. Our collective Embodiment calls forth Trinity DNA markers, which are a collective Divine HUMan DNA signature, triggered by Unity Consciousness, Positive Photonic plasma influxes, and Gaia’s light level. The memory of density drops away. The past seems long gone, disharmonious realities dissolve as old timelines and uncomplimentary akashic drop away. We have been through mourning the old self, losing identity, and finding comfort with the unknown. The Embodiment phase is when the good work really shows. Wonderful is unfolding. We pursue a brand new experience of Source-as-Self, together. Equinox on March 20 at 2:58pm PT. Equinox is a key moment for influxes and outpourings of new light because of its balancing qualities. We also have a Full Moon on Equinox (6:43pm PT). This is a powerhouse co-creation of the strongest dimensional-shifting, consciousness-raising Christed Lovelight yet. Trust your heart and participate as a willing heart. This is a profound passage for all of us. Blessings and gratitude to everyone leveling up in beautiful ways in this Now. Sending Divine LoveLight and strength to all of us for a reality-shifting passage. Let us show HUmanity what is possible with Ascension!